For the vast majority of the trip, we were in places we’d never been. Only Costa Rica, Australia, New Zealand, Bali and Switzerland had some of us been to before. 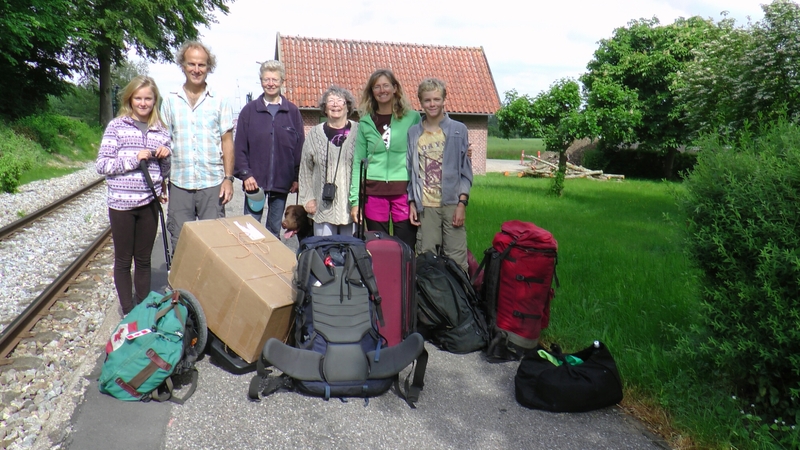 So it was great to finish our cycle tour at Gyldenlund, my mom’s aunt Marianne and uncle Boerge’s farm in northern Sealand, Denmark. My mom has been there at least 20 times (her father was Marianne’s brother), and it was Kaia’s and my fifth time there. 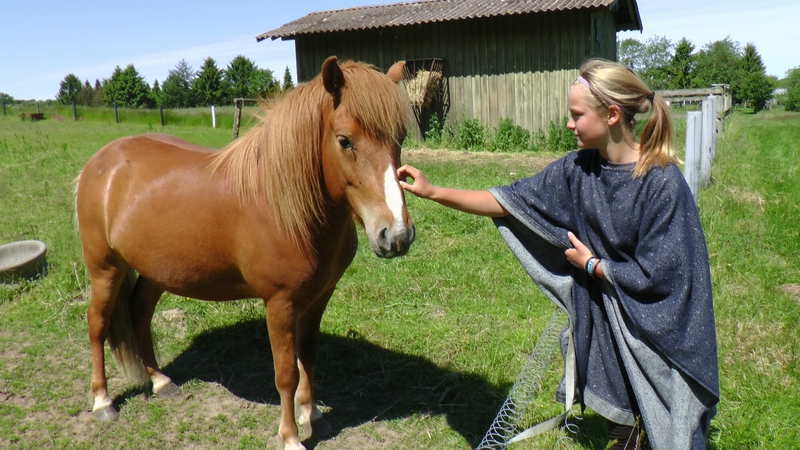 It’s a beautiful farm, with lots of animals and vegetable gardens, and borders one of Denmark’s biggest forests, and with a train station really close by (1 hr to Copenhagen). 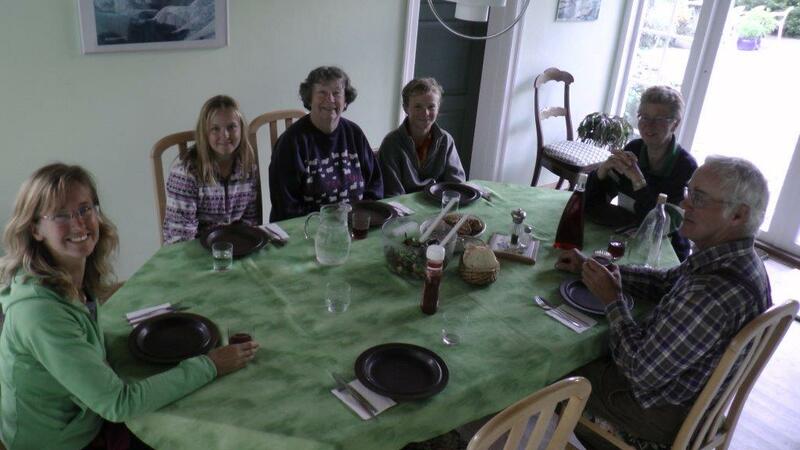 When we arrived on our bikes, we met Marianne and Boerge, and my Mormor (Danish way to say “mother’s mother”), who we hadn’t seen since we left in September. We spent a week on the farm, and had lots of fun. I’ll keep this blog post short, so here are photos of some of the highlights. 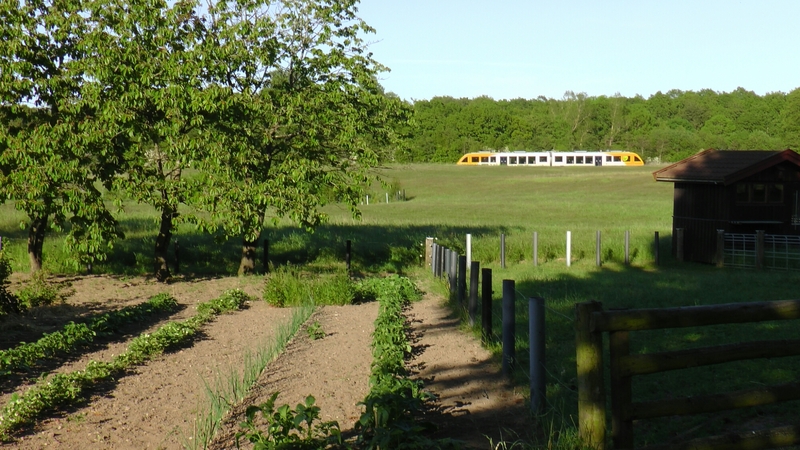 This is the vegetable garden, with the little yellow commuter train going by. 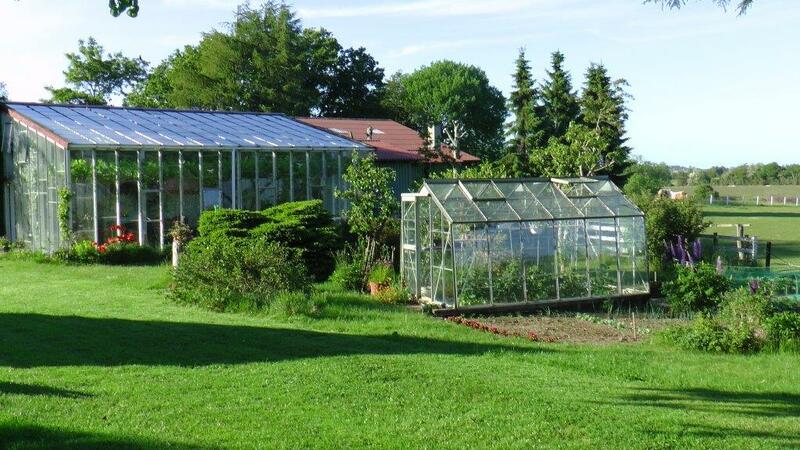 The greenhouses. The big one was built by uncle Boerge using recovered glass. We ate very well at Gyldenlund, and had a lot of Danish-style open face sandwiches! 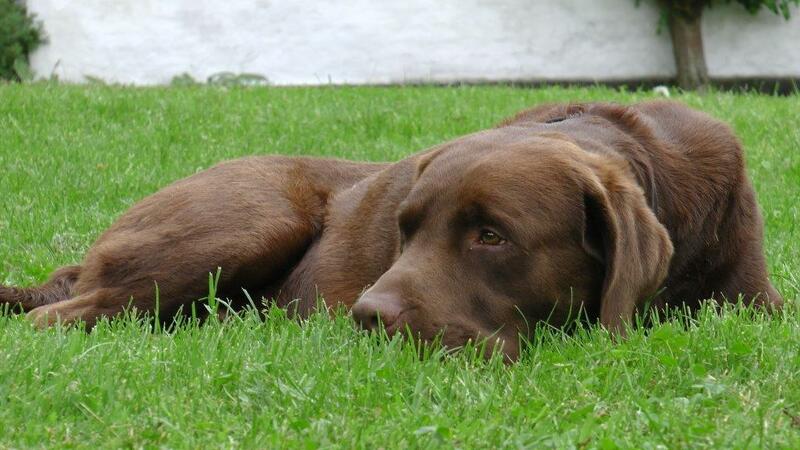 This is Bruno, their nice 4 year-old chocolate lab. This is Lillemand (“Littleguy”), one of 12 or so of Marianne’s sheep. Born last spring, he was the runt of a group of triplets. Ewes can only look after 2 lambs, so his mother rejected him, and he must be fed 4 bottles of milk a day. Marianne also has 4 Icelandic horses. This one is Gilvi, a young gelding. And there’s the birds. 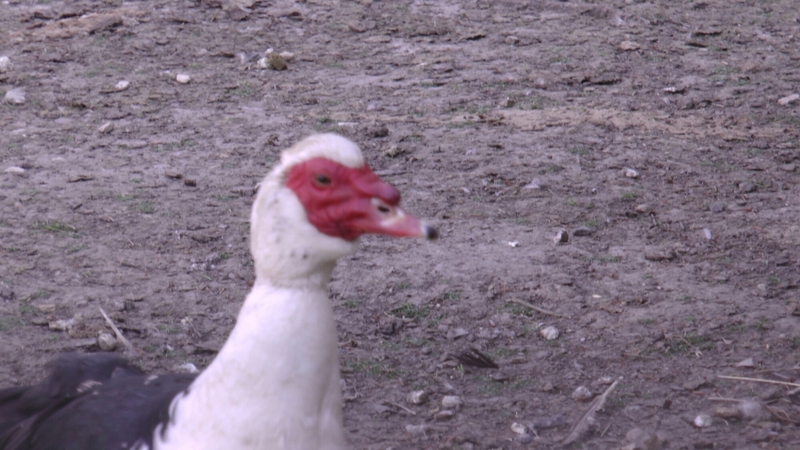 There are about 20 ducks, 15 chickens and one goose. 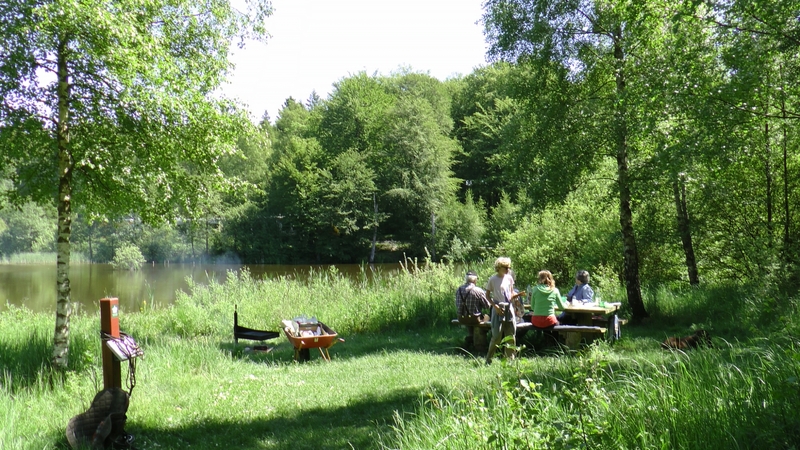 We went into the forest for a barbecue lunch on a lake. 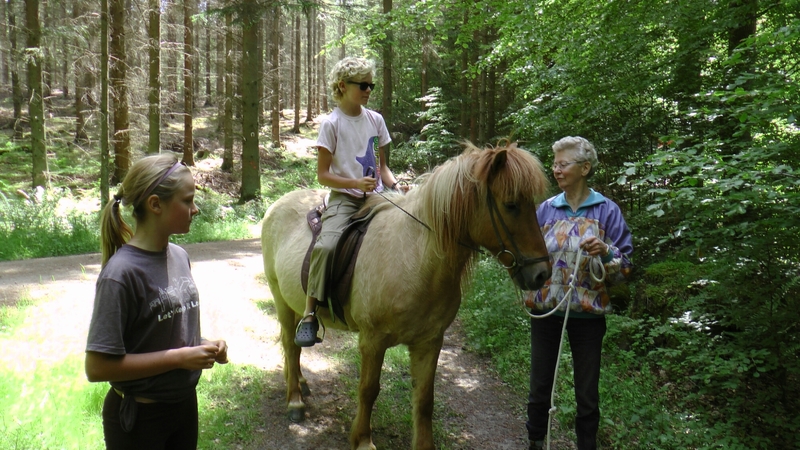 And Marianne let me and Kaia ride one of her horses there and back! 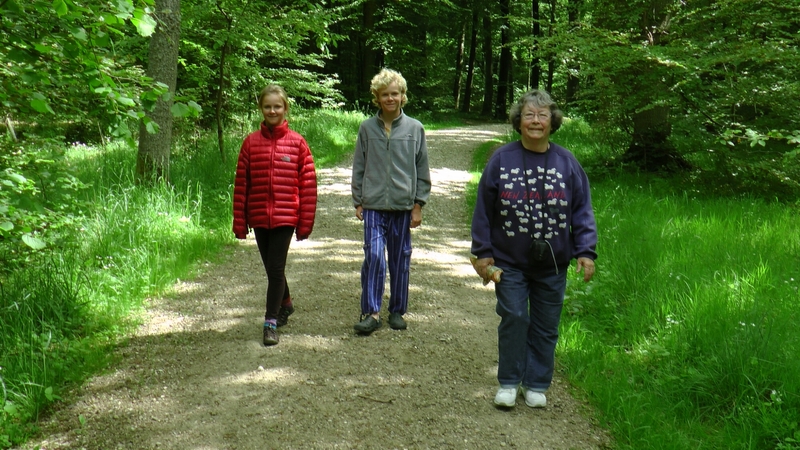 The Gribskov, the forest that borders the farm, is a beautiful place to go for a stroll. 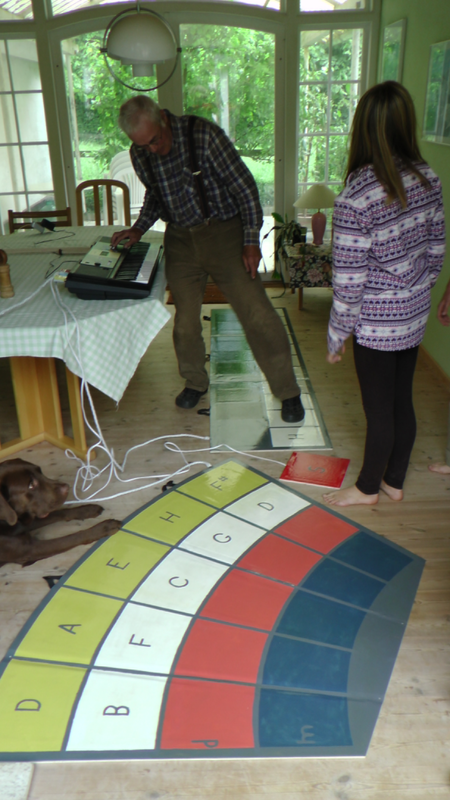 Boerge, who is an expert at inventing and building cool things, made this piano that you play using your feet! 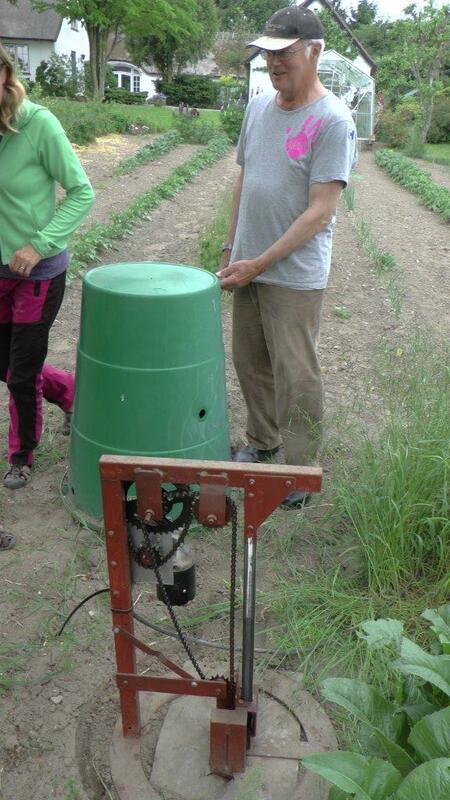 He also made this “earthquake machine” to keep small rodents in the ground from eating the potatoes! It makes a tremor once every hour. 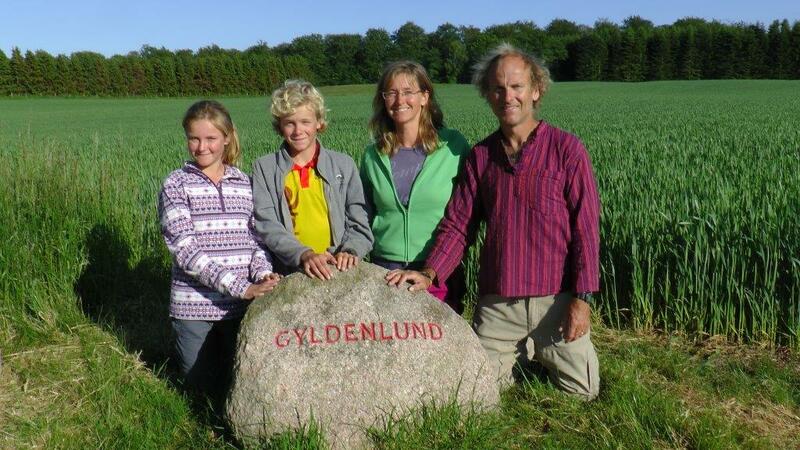 Many Danish farms have their names carved into rocks at the entrance. 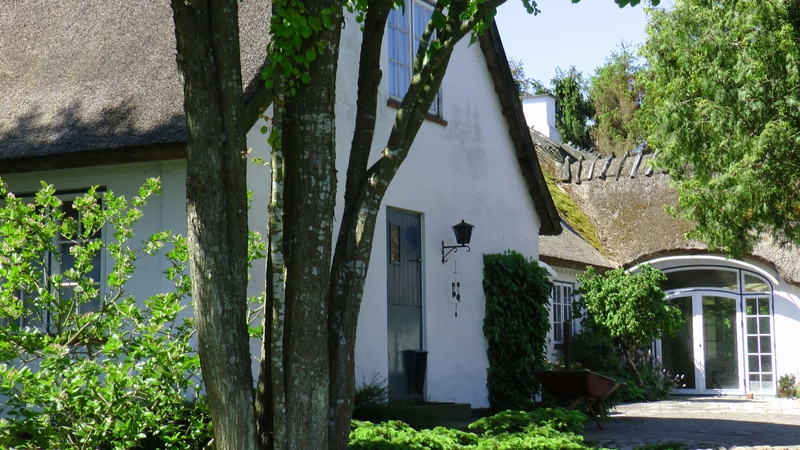 Here we are at the entrance to Marianne and Boerge’s “Gyldenlund”. 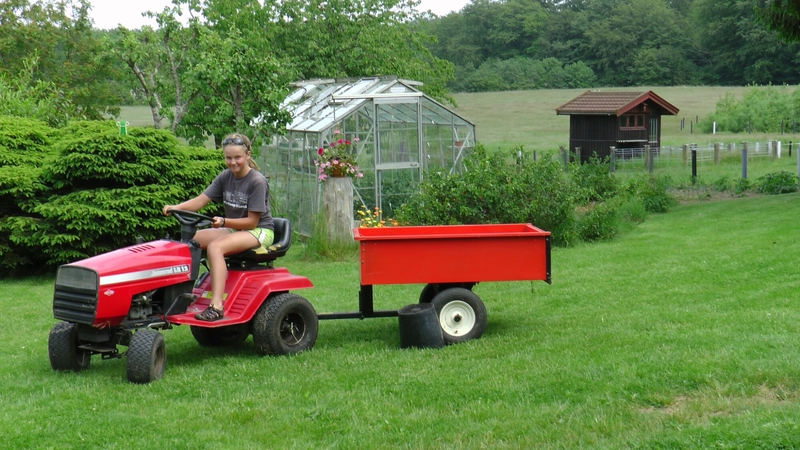 We had tractor obstacle course race. As you can see here, Kaia wrecked a few barrels. Saying goodbye to Marianne and Boerge at the train station. Mormor was coming to Iceland with us. 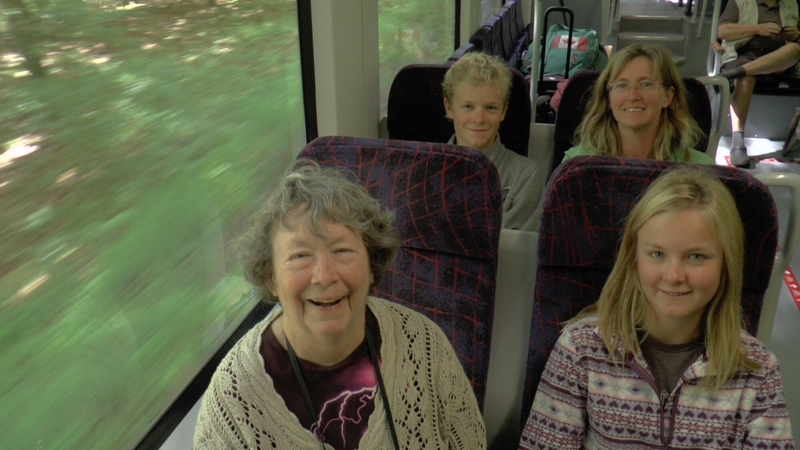 On the little yellow train … bound for Copenhagen then onto Iceland.. Being at Gyldenlund was really fun, and was a great change of pace from finding our way in new, unknown places, what we’d been doing for the past 9 and a half months. It was great to see Marianne and Boerge again, and Bruno all grown up (he was a puppy the last time we visited), and to see my favourite country in Europe, Denmark.